A construction worker was left severely burnt after the scissor lift he was working on came into contact with an overhead power cable. Mark Rushbrook who was self-employed, was busy building a couple of brand new units for poultry at Sunny Farm in Bedfordshire. The lift was being used so that Mr Rushbrook could clad the outside of the units. When the steel frame of the lift made contact with a power cable Mr Rushbrook was hit with an 11 Kv shock. The accident occurred back in June 2009. The injuries consisted of substantial burns to Mr Rushbrooks hands and stomach. He also suffered severe damage to his internal muscles. An investigation carried out by the Health and Safety Executive discovered that the end of the structure that the worker had been cladding was only just over 4 meters away from a power line. As a result of the accident the HSE decided that several parties needed to be prosecuted. They took C and P Bird Brothers Ltd who own the farm and the manufacturers of the steel frame, Morspan Construction Ltd to court. Furthermore they also prosecuted the director of C and P Bird Brothers, Peter Bird, and a self-employed sub-contractor who was organising the project, Michael Skayman. The court was told how the defendants had not identified the risks that were involved when working so close to an overhead power cable. As a result of this lapse in risk assessment there had been no suitable and necessary precautions which could have prevented the accident from occurring in the first place. They also failed to notify the authorities. Workplace Risk Assessment is a priority and as Health and Safety Consultants we are able to assist you in all your risk assessments and all other aspects involved in organising projects to help prevent accidents and deaths from happening. All of the defendants admitted their breaches of the health and safety at work etc. Act 1974 for which Mr Skayman was fined £25,000 and £4,000 in costs. The director, Mr Bird, was fined £5,000 and £2,000 costs. The farm owners C & P Bird Brothers Ltd and Morspan Construction Ltd were also charged with breaching the Construction Regulation 2007. C & P were charged a total of £40,000 for both breaches and ordered to pay £5,500 costs and Morspan were fined £60,000 and ordered to pay £5,250. Health and Safety consultants constantly hear about tragic accidents which could have been avoided if the correct measures were taken before work began. 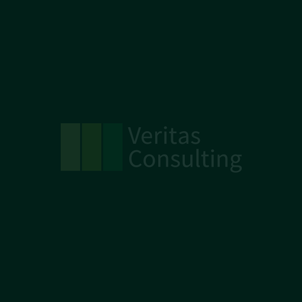 Veritas Consultants offer a full range of health and safety services including construction safety which help to prevent accidents and make sure that construction firms are complying with their legal duties. The accident involving Mr Rushbrook could have easily been fatal and was one incident which could have been avoided entirely. Construction work is a high risk industry and lapses in Health and Safety is not acceptable. If you work in construction contact our team of health and safety consultants on 0800 1488 677 begin_of_the_skype_highlighting 0800 1488 677 end_of_the_skype_highlighting today.